When a novel is pitched as something that fans of Cassandra Clare and Leigh Bardugo will eat right up, you’ll know right away that I’ll have my interest piqued. Author Melissa Grey’s The Girl at Midnight sounded like an imaginative read that would hook me with ease. Urban fantasy with a protagonist sent on a quest to find some all-powerful object? Sign me right up. The Girl at Midnight was a read that I zipped right through. The world that Grey has crafted is unique in its own way and will immerse any and all readers who enter it. Taken in by the Ala, Echo has been living as a thief beneath New York City as a human among the Avicen. The Avicen are an ancient group of people who have magical abilities and feathers for hair. Prince Caius is a member of the Drakharin, another tribe of people who have been warring against the Avicen for centuries. When Caius seeks out the Firebird, Echo is forced to throw herself into the midst of a war that isn’t hers to fight. Her pursuit of the Firebird—an entity powerful beyond belief—pushes her into the path of danger and romance. There’s no telling who will make it out of this battle alive. I fell in love with The Girl at Midnight right after reading the opening chapter. I knew that this would be a novel that would keep me eager to find out more. Grey does an amazing job at creating a vivid image of just what the world of the Avicen and Drakharin looks like through stunning imagery and heart-pounding action sequences. Readers who enter the world of the Avicen will be compelled by the magic introduced in the novel as well as the Avicen and Drakharin themselves. The Avicen are unique—powerful beings who have feathers for hair, while the Drakharin are beautiful and scaled. The plot for The Girl at Midnight kept me guessing and constantly on my toes. There are so many instances of betrayal and deception and light-hearted romantic moments. The novel is told from alternating third-person point of views. My favorite happened to be from Caius’s point of view because we got some flashbacks of his time with Rose—an Avicen woman who he fell in love with and who was murdered by a person close to him. Getting to see these close moments to not just Caius’s character but to the many others in the novel made it easy to get into their heads and empathize with them. Grey’s writing is smooth and detailed. Personally, I really enjoyed her prose. The way that the characters were presented and how their internal thoughts were written was absolutely wonderful. She has easily brought the character inThe Girl at Midnight to life. I also really enjoyed the evolution of a romantic relationship between two of the novel’s male characters (it was super cute and a total case of opposites attract) as well as the tension between Caius and Echo. Throughout reading The Girl at Midnight I was caught in the ‘Will They or Won’t They’ chemistry going on between Echo and Caius while also dismissing Rowan’s character. Rowan was the only character whose placement felt unnecessary. 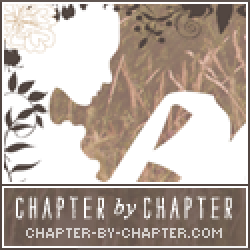 He paves the way for a love triangle that I personally felt had no place being in the story. 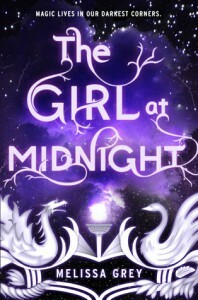 I would recommend The Girl at Midnight to readers who are avid fans of the urban fantasy genre and want to glimpse a world that doesn’t revolve around the ‘normal’ realm of the supernatural. Readers who are looking for a novel with the perfect balance between romance and action should also give The Girl at Midnight a shot. Anyone looking for a fast-paced read that you could go through in one sitting should also give it a try.